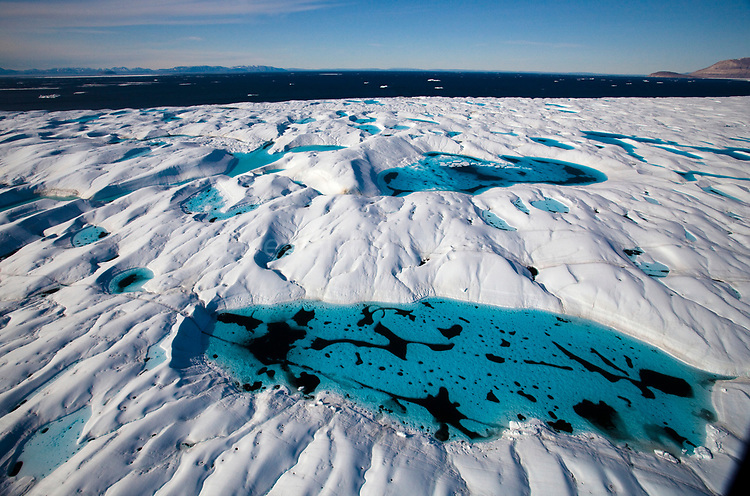 Aerial views of Melt Pools and melt rivers on Petermann Glacier, in remote northwest Greenland. The 80km long, 20km wide floating tongue of Petermann Glacier currently accounts for about 10% of the output of ice from Greenland's Ice Cap. In 2010 and 2012 Petermann calved ice islands totalling 400 square kilometres.